Stage 2 of meaningful use is supposed to be about interoperability of data, with electronic records flowing securely between sites as needed to help hospitals and doctors provide better care. But the number of attestations to Stage 2 – just 25 hospitals and 1,277 eligible professionals nationwide had attested to Stage 2 in August, according to CMS – has been anemic, and there is plenty of anecdotal evidence suggesting true interoperability is a long way off. Meanwhile, efficiency continues to suffer and care is not as safe as it should be. 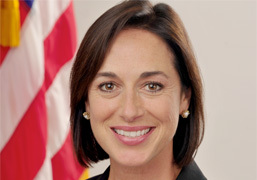 At a Washington conference on the future of healthcare this month, national health IT coordinator Karen DeSalvo, MD, said that in the absence of interoperability, EHRs will have limited effect on care quality. "We have to remember that health IT is a tool," DeSalvo said several times that day. "Health is more than healthcare and that health IT goes far beyond electronic health records," she added. Some now are suggesting that it might be time once again to rethink health information exchange, while many are touting application programmer interfaces as a smart way to connect EHRs to each other and to external data sources. "Kendall Square [home of the Massachusetts Institute of Technology] and Silicon Valley are laughing at us," Micky Tripathi, president and CEO of the Massachusetts eHealth Collaborative, said in the Washington conference on the future of healthcare. Technologists in other industries have been sold on APIs for years, he explained, while those inside healthcare have been experimenting and largely failing with other approaches. At the same conference, Tripathi showed a PowerPoint slide he made in 2003, when he was running the Indiana Health Information Exchange. Then, his vision was for a centralized repository surrounded by a circle of data movement among various stakeholders, including hospitals, independent physicians, payers, ancillary service providers and patients. Today, that idea is "getting blown to bits," after the failure of so many regional health information organizations — remember RHIOs? — and, lately, HIEs, to develop sustainable business models and serve as conduits for truly patient-centered care. "I would argue that these are the dinosaurs that are going to go away," Tripathi said of central data repositories. Instead, point-to-point query and retrieve, record aggregation/data normalization and patient-controlled HIE through such mechanisms as Direct Project e-mail and Blue Button downloads are gaining favor, Tripathi said. Tripathi co-chaired a task force of an independent scientific advisory group to the federal government known as JASON, which in April released a report on "robust health data infrastructure." That report, commissioned by the Agency for Healthcare Research and Quality, called on the health IT industry to publish as many APIs as possible. Though Tripathi has publicly said the report didn't go far enough, he seized on the API idea. "Federal government doesn't have to be regulatory in this model," Tripathi said. Washington could simply align its own programs around an API strategy, using its tremendous purchasing power to move the market in this direction, he explained. Widespread patient control of their own health data still appears a long way off, however. Former federal CTO Aneesh Chopra asked conference attendees, including numerous hospital executives, if any had offered the Blue Button option to their patients. Not a single hand went up in a room with nearly 500 people. There already is an API for Blue Button, and the Office of the National Coordinator for Health Information Technology is encouraging private developers to use that interface to build new data-sharing applications. For her part, DeSalvo said the API strategy is merely one way to achieve interoperability, and she praised EHR vendor Cerner for showing "how useful it can be." But interoperability of health information is not exactly easy, and it is not a panacea for all that ails healthcare. For example, she said, hospitals need to know patients have a medical home to go to for follow-up care after being discharged from inpatient care. "The specifics about it are where things get thorny," DeSalvo said. "I don't want to sugar-coat it.